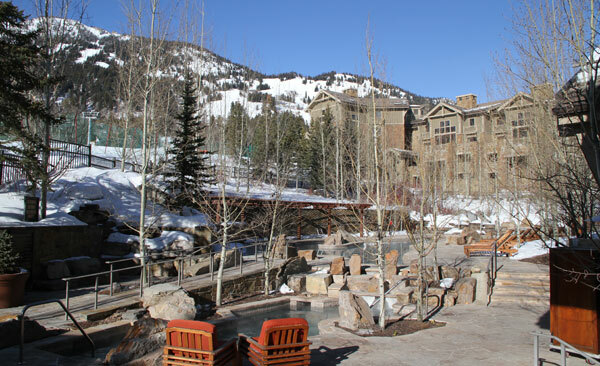 The Four Seasons at Jackson Hole takes the hassle out of skiing with your family. It’s five star all the way at this Wyoming ski hotel. First, they whisk your gear from curb to the ski concierge where your family’s boots will be warm and ready for first tracks, skis waiting on the snow. Kids’ Base Camp is located in the hotel, so drop-off for ski lessons is leisure and elite. The spacious gracious suites in the hotel have spectacular views, super thread counts and every service from in-room dining to robes and slippers for the spa and outdoor heated pool. The skiing at Jackson Hole is amazing and exhausting, with 4,139 vertical feet and 2,500 acres, so après ski at the Four Season is a welcome treat. After the ski concierge unbuckles your ski boots (seriously), sit by the outdoor fire pit and enjoy a cocktail while the kids roast s’mores and sip cocoa. Enjoy a spa treatment, or live entertainment in the fireside lobby bar while the kids check out the Kids Club game room. Or borrow a Mercedes Benz, free for guests, and drive to the cowboy town of Jackson to shop for a leather jacket or a ten-gallon rabbit hide hat. For a day away from the ski slopes, take a wilderness safari with Tenley – the Four Seasons’ natural ist who will chauffeur your family to Grand Teton National Park and The National Elk Refuge to see elk, bison, bighorn sheep, deer and moose graze. The kids will love having their own binoculars and munching on chef-prepared snacks in the Mercedes Benz while watching trumpeter swan bob up and down fishing in the Snake River. Evenings at the Four Seasons are fantastically relaxing, dine on elk and bison in the West Grill or freshly prepared sushi at the bar while watching the groomers sweep the ski trails above. Listen to live music in the leather and cowhide chairs in the grand lobby by the fire as a perfect nightcap before drifting off to sleep and dreaming of your next ski day at Jackson Hole. Warning: Exposure to a ski vacation at the five-star Four Seasons Jackson Hole is highly addictive, it will be hard to buckle your own ski boots, or stay anywhere else again.